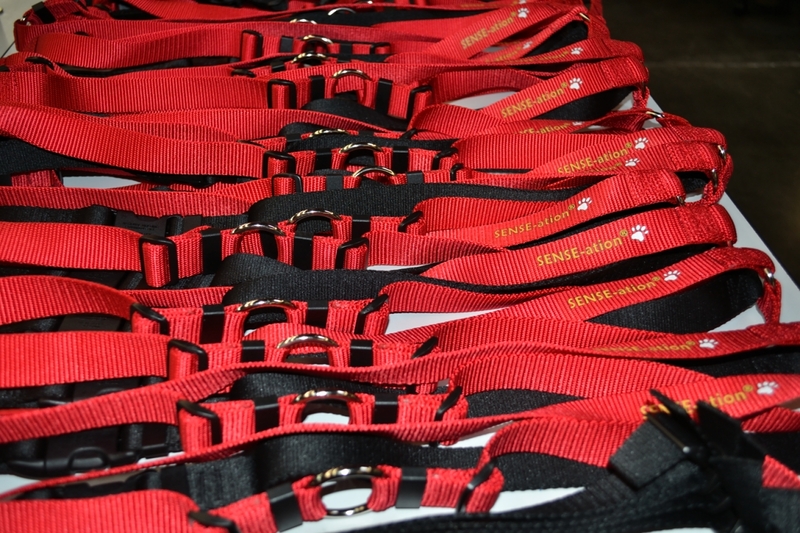 Our Front-Connection™ harnesses creates a new connection between you and your dog! New concepts helped us invent an original and innovative, dog-friendly approach. Our innovative design involves more than clipping your leash to the front; the unique fit and methods give dogs Touch Guidance™ with their sense of touch, to prevent choking and pulling. Other products work against relationships by using restraint, leverage, and discomfort, to discourage behavior. Softouch harnesses instead, encourage natural behavior. Please leave a voicemail on Fridays. We will respond to voicemail the following business day. Front-Connection™ dog harnesses are more than no-pull harnesses, they help solve all on-leash problems and enhance companionships. Our unique harness system was inspired by new concepts from horse training that can help you understand your dog. Both dogs and horses have a similar response to sense of touch. They brace against pressure (touch reflex) which is why dogs brace against collars and pull on leashes. With our restraint-free™ methods, dogs feel gentle pressure (sensations) like horses feel a rider's leg pressure. Dogs love this no-force approach!